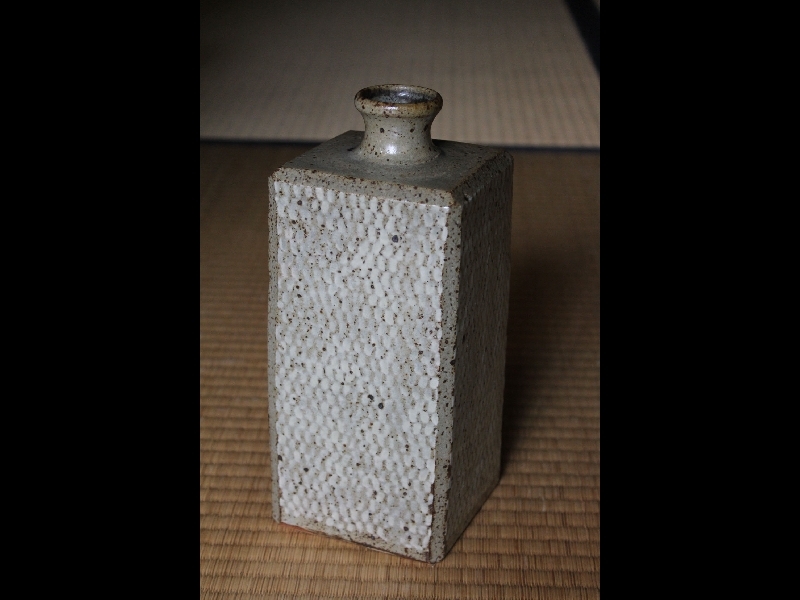 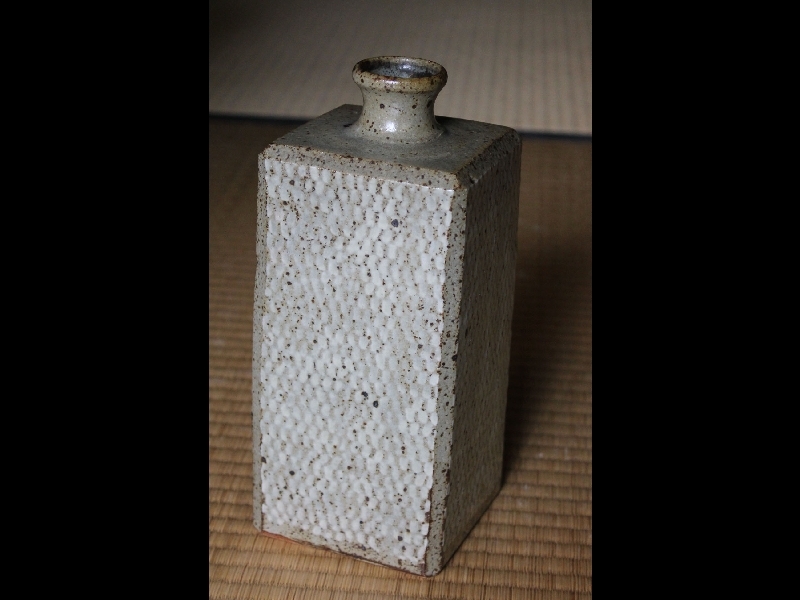 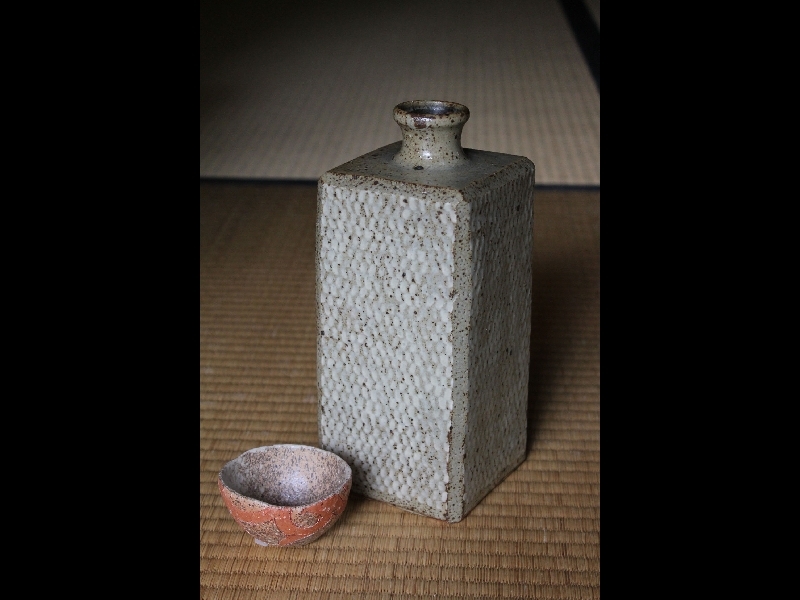 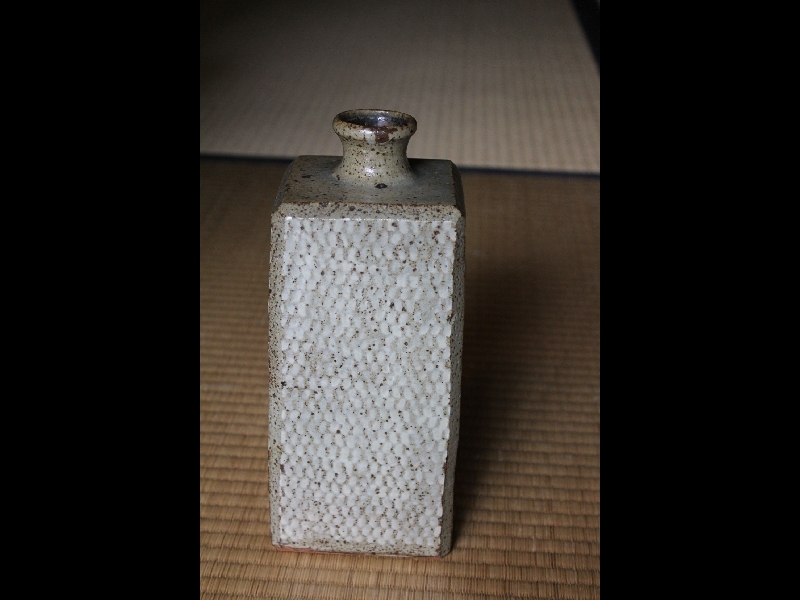 Here is an early Shimaoka Tatsuzo(1919-2007) jomon-incised square vase that is quite shibui. 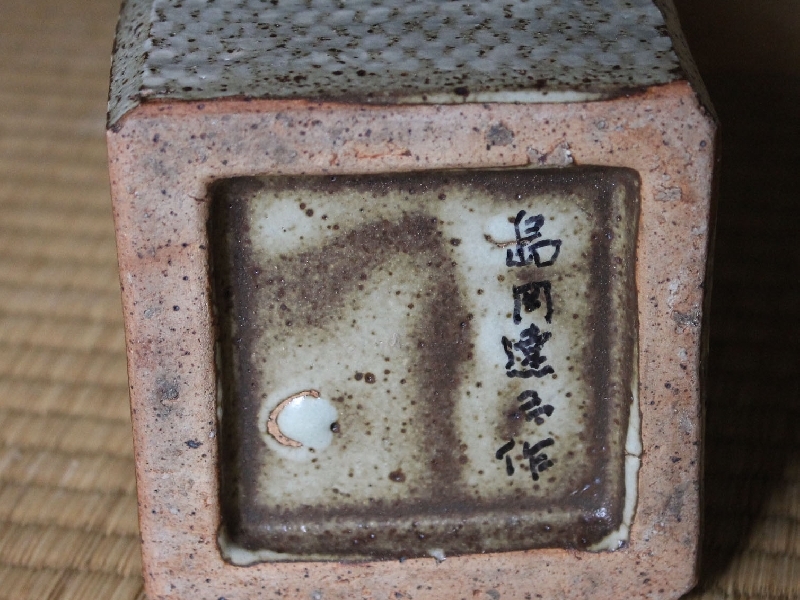 In perfect condition, no box, someone wrote Tatsuzo Shimaoka-saku (Made by....) on base, 24cm.tallx10.5cm. 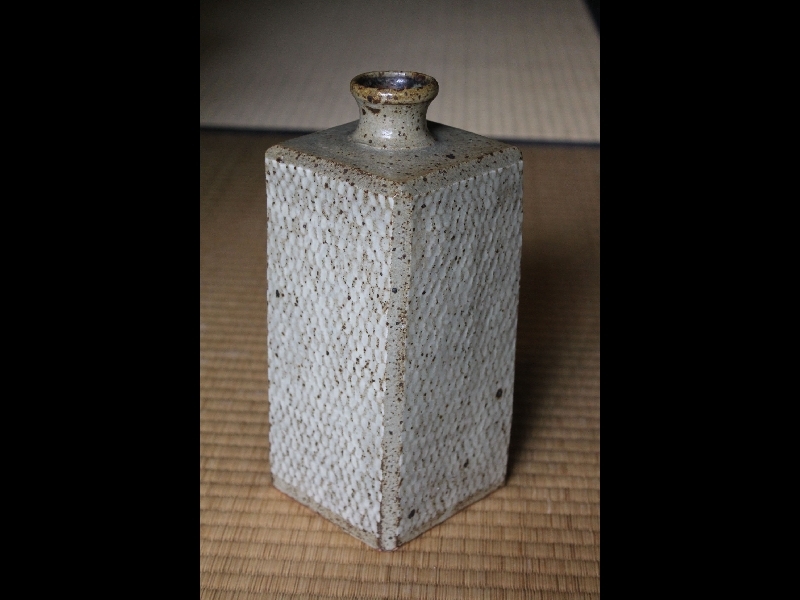 wide, EMS included.